Purchasing a firearm online is easy as long as you follow these steps & to ensure that your transaction is processed smoothly, please review these requirements carefully before purchasing online. Create an account with us by selecting the register button on our GoodFinds shopping site. Pick Your item & Add to Cart. If buying a firearm please review all the purchase info prior to finalizing the order. Order & Payment. You pay us directly for the firearm or ammo / accessories by placing the order via the Web Sites Shopping cart System. Non Firearm Shipments. If your item is not a firearm we will ship directly to your house or preferred delivery address as long as the item is legal in your area. We cannot ship a gun direct to you, but we can ship to the local FFL dealer of your choice. Any legitimate gun store or gun dealer has an FFL Gun Dealers license. When buying a firearm please fully review the other info listed in the payment & FFL sections before placing your order. Firearms and Ammo orders are sent Signature Required to verify delivery someone will need to be home to sign for the package any items that are returned because of lack of signature will be charged a restocking fee. We do not contact or arrange transfers with dealers this is solely the customers responsibility please do not ask us to do this for you . It is the customers responsibility to verify that the item is legal in your state & that the dealer will handle your transfer BEFORE placing the order. You must be 18 years of age or older to purchase Firearms , Ammo or Receivers from our web site. Since age requirements can vary please make sure you comply with age restrictions in your state, and with your recieving FFL before ordering . If you purchase a firearm and other items on the same order the entire order will ship to the FFL dealer there are no split shipments. PLEASE NOTE: If you live in a magazine restricted state and the magazine that comes with the firearm would be illegal, we will remove the magazine from the order and ship the firearm to your FFL dealer without the magazine. We cannot ship magazines to out of state address & we cannot alter or customize magazines at this time. There will be no substitutions or discounts for removal of magazines or any other custom magazine options offered. Please contact your elected political leaders to express any outrage and help get the laws repealed . We invest time and money to prepare every order that is placed on our site even before the order ships. Our business is not set up to change orders easily and need our customers to be sure of their order before placing it via the web site. If you place a order and want to change it the only option is to cancel the order . Any Cancelled orders will be subject to a $45.00 cancellation fee. We immediately start to process the paperwork for orders so we can not guarantee that the order will be able to be stopped before shipping out . ANY orders cancellations must be submitted via email to web.sales@goodfinds.com, You may phone cancellations (843) 549-8346 to try to cancell before shipping but an email is also required for written documentation. Please include your order number , name and reason for the cancellation & in the subject title mention Cancellation . We will do our best to accommodate your request but there is NO guarantee of this since we are shipping many orders every day from multiple locations and it may take up to 24 hours for a cancellation once emailed. If a order is shipped out and you still want to cancel you will be responsible for the the return ship and 20% restocking fees . Any special request for your order must be submitted to our office in writing via email and approved via email before the order is placed . Please do not place the order and then list in the order notes demands that have not been agreed to by our office in advance of the order . Any non approved request will be ignored . Orders that must be cancelled due to request that have not been approved will be subject to a $45.00 cancellation fee. If you place a order for a item that is not legal in your state and we have to cancel the order you will be charged a $45.00 cancellation fee. Please verify that the item is Legal BEFORE ordering . This is your responsibility not ours and no excuses will be accepted . You may not purchase a firearm as a gift & have it shipped or transfer into somebody else name. This Federal Law requires that the name on of the person placing & paying for the order must be the person filling out the paperwork at your transfer dealer . Massachusetts Customers :: As of Wed 7/20/16 the Massachusetts Attorney General has issued a New "Directive" on "Assault Weapons" and we will not be able to ship or sell to MA until we have further clarification of the new law . Please refrain from placing any orders shipping to your state at this time. Orders must be placed using our on-line shopping cart system so they can be recorded and tracked automatically. Deposits are non refundable. We do not take retail phone orders. We do accept payment via Visa , MasterCard or Debit Cards & Pre Paid Cards. Sorry no AMEX or Paypal or other options . We want your transaction to be secure & require (AVS) Address Verification to protect our customers against fraud .Your Billing address must match your card or the charge will be Declined . If you card is Declined it will still show a Pending Charge on your card this is normal and part of YOUR Credit card company's policy. These Declined Pending charges Automatically Drop off of your account in 1 -4 Business days and will not be turned into a completed order . You will need to place a new order and make sure the Billing address , 3 Digit code match the card. You card will be charged at the time you place your order on our site . If buying a firearm the persons name on the account and paying for the order on our site must be the persons name we ship to the dealer in and fills out the transfer paperwork. You can not order and pay for a gun and then have it shipped in another persons name this is a Federal Law . We will not change the name on the order after a order has been placed please do not ask. If you choose a payment option we can not switch it so please choose the one you really want to use. All orders will be sent with a Order Receipt listing the item , price & serial number if a firearm . Please do not request for us not to send this it will be denied . We will not modify or alter Order receipts in any way. Certified Check or Money Orders (NO personal, company checks, COD's , Fax checks or wire transfers accepted). For Certified Funds payment must be received within 7 days of order placement or the order will be cancelled. Please be Sure of the Order BEFORE you place it !! We do not offer Changes to orders once placed . There are no additions , alterations , Modifications or other to orders once Confirmed on the web site. Refunds on cancelled orders are processed at the end of our business week every Sunday. If you cancel on a Monday you will not see the refund processed until the following Sunday. You will receive a email refund confirmation once processed . Please Note , after the refund is processed the banks may take 1 -4 business days to transfer funds . We need to receive the FFL for your order within 7 days of order completion . After 10 days if we have not received the FFL from the transfer dealeryour order will be cancelled and a 10% restocking fee charged. If your order has shipped out and you change your mind you will be responsible for shipping both ways and a 20% re stocking fee. You would complete the order via the web site and send in the payment with a copy of the order receipt . There is no state sales tax for orders outside of South Carolina (6% state sales tax for South Carolina residents). ALL Orders are sent Signature Required to insure delivery , Someone must be there to Sign for the delivery. Prices are subject to change by placing a order you are locking in the price the day you place your order if the prices goes up or down you understand that the price on day of the order is the price you have agreed to . If the price goes up after you place the order we will not contact you asking for more money if the price goes down please do not contact us asking for a refund . The customer must apply any coupons or discounts at the time of the order. We cannot apply discounts retroactively after your order has been placed. Please make sure you have ironed out the discounted ordering instructions prior to placing the order. If buying a non firearm item the order can ship to your home and does not need to ship to a gun dealer. If buying a Firearm & your FFL Gun Dealer is in our database - Choose the FFL name that your gun will be shipping to , please make sure you have contacted your dealer and discussed the transfer BEFORE placing the order ! If your FFL Dealer is NOT in our database Please complete the order and ask them to fax or email in a copy of their FFL license with your NAME & ORDER NUMBER written on the ffl info or a copy of the order receipt. If your dealer's FFL license is not on file we will need to receive a copy of their ffl accompanied by your name & order number within 7 -10 days of order placement. If we do not receive the proper paperwork in this time frame we will be forced to cancel the order and charge a 20% re stocking fee even if the order has not shipped out. If you have questions on what a FFL Gun Dealer would be and how to locate one please read our FFL Gun Dealer Information Link. If you chose a FFL from our Database or have one sent in and we have to change the ffl there will be a $20.00 service fee. We start processing ATF Approval paperwork in advance of the shipments & changing ffls requires all new paperwork. IF purchasing a GUN and you do not have the Dealers address yet, please specify your billing & shipping as the same. Choose your correct shipping method from the pull down menu. Choose your payment type from the pull down menu. Review & then confirm order. *Prices on our web site do not include shipping, which will be added during check out. Regular Rifles to Continental United States: $30 if you buy multiple rifles on the same order we will ship for one Flat rate of $30.00 . Pistols $45.00 via Fedex 2 Day Express shipping . Magazines & Accessories: $15 flat rate per order in the lower 48 States HI & AK will be extra. Ships Via FEDEX Ground or USPS our choice . Ammunition ship rates vary and will be listed in the item description. 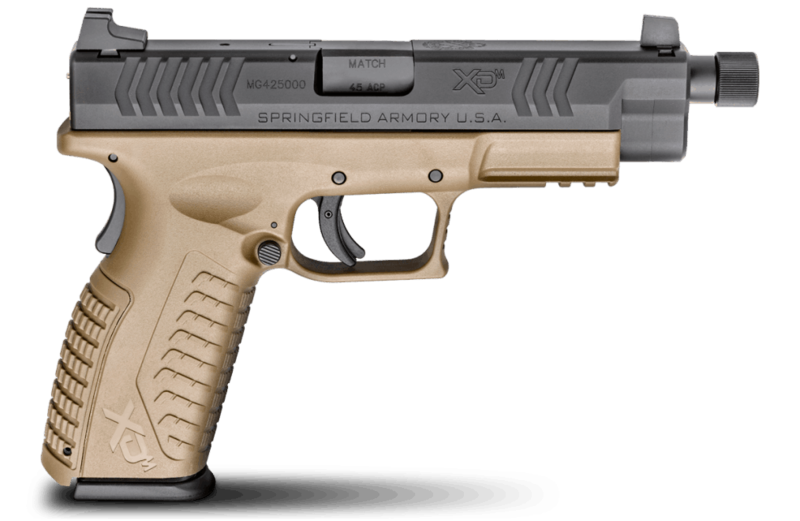 We ship Rifles & Ammo via FedEx Ground only, Pistols will be shipped Fedex 2 Day express. Any special request for your order must be submitted to our office in writing via email and approved via email before the order is placed . Please do not place the order and then list in the order notes demands that have not been agreed to by our office in advance of the order . Any non approved request will be ignored . All items must be shipped. You cannot pick up your order. Deposits are non-refundable unless we cannot fill the order in the time-frame promised. Please note: YOU the customer are responsible for verifying the legality of the purchase prior to ordering. On Firearms orders You are responsible for contacting your FFL transfer dealer BEFORE your order to discuss the transfer. The photos on our web site may be stock photos. We may not take individual pictures of each item we sell. Any used items will be images of the actual Item and a comprehensive description wi be included. No high capacity magazine shipments to restricted states please make sure you view the restricted list before ordering. Most orders ship in 3- 7 Business days once the order is Complete (excluding weekends, holidays and unforeseen circumstances) Most orders ship in 1 -2 business days after completion but could take longer based on the incoming & outgoing shipping load . A order is not complete until we have received the FFL license if it is a firearm order . We will email you from the FedEx.com web site with tracking details, please make sure your email spam blocker will accept emails from trackingppdates@fedex.com. We will also update your order status via our web site and you will receive a ship notification from GoodFinds.com. Due to possibility of errors we do not issue serial numbers in advance or email them to you after a order is shipped . The final serial number verification will be done by your ffl dealer at the time they receive the weapon. You are welcome to log in to your account to see if the item has shipped or email us using the Order Status Link on our web site. All Firearm orders will ship to the FFL Dealer for transfer to you the process is easy if you simply follow the steps . Please review the info below carefully to avoid any confusion you are ordering a firearm not a toy so it is important to fully understand the process. Some common examples of an FFL dealer are gun stores, gunsmiths, pawnshops and shooting ranges. You may look these up in the yellow pages or use our FFL locator's link on the left side of this page. These dealers will assist in your transfer but since they are not on file with us they will have to send a copy of their license. You must be 18 years of age or older to purchase Firearms , Ammo or Receivers from our web site. Age restrictions may vary from state to state so please make sure you are old enough for the item before placing the order. They will do the background check and then transfer the item over to you. Transfer fees vary, so you may want to shop around to different dealers for the best price (the national average is $25-$40). You will need to verify with the FFL that the item you are buying is legal for you to own and should discuss them doing the transfer for you. Unable to find an FFL in your area on our list? You can use the following search tool provided by www.FFLregistry.com to find other dealers near you please note these dealers are not on file with our office and will need to fax or email in a copy of their ffl with your name & order number attached. The person listed as paying for the item on the order must be the one picking up the firearm and filling out the 4473 form at the FFL transfer dealer. It is illegal to pay for the rifle under one name & have it shipped for another this is called a "straw purchase" and is a federal offense. Due to possibility of errors we do not issue serial numbers in advance or email them to you after a order is shipped . The final serial number verification will be done by your ffl dealer at the time they receive the weapon. This provides the most full proof way to avoid typo issues etc. If you have not lined them up yet, you can skip this step. When you complete your order ask the FFL Dealer to send us a copy of their FFL paperwork , they can fax/mail or email , this info will be listed at the top of you Completed Order Receipt . Your order will not ship until your FFL Dealer has sent in a copy of your order receipt & their FFL. Please Note: We must have the dealer write Your NAME & ORDER NUMBER on the fax or email with the FFL, this allows us to know who & what the FFL is for, if we do not get this we cannot process the order. If your dealer does not include your NAME & ORDER NUMBER with the FFL sent in we will not process the order. We will NOT contact your dealer to arrange the transfer or request paperwork from them . We will not call , email or fax any forms or other etc to your dealer in advance. The process is simple >> Your dealer faxes or emails a copy of their ffl with your name & order number & we send a copy of our ffl with the firearm to your dealer , It is quite simple & EASY !!! . Anything more required by your dealer is only slowing down the process . All request and communications with their FFL are done by the customer only . Please do not request alterations to our listed policy they will be declined .We do not provide you with serial numbers of firearms in advance this will be given to you by your dealer once they receive the item and verify the serial number .This cuts down on possible mistakes so please do not ask or demand the numbers . PLEASE DO NOT CHANGE YOUR FFL , once chosen we start processing ATF FFL approvals in advance if we have to reprocess paperwork there will be a extra charge of $20.00 . Buyer certifies by purchasing a firearm from GoodFinds SC LLC that he or she is legally qualified to purchase and own the firearm and that there are no state or local laws preventing ownership and owner will utilize a trigger lock to prevent accidents. As it is a matter of record that GoodFinds Gun Shop has no established testing facility, GoodFinds Gun Shop assumes no liability for the safe functioning of any firearm sold. Buyer must be at least 18-21 years of age to purchase any firearm please check with your ffl / gun transfer dealer on age requirements in your state. Please read all information listed on our web site before purchasing, warranty, shipping etc. deposits are non-refundable there is a 15% re stock fee on approved returns. Please ask any question before placing an order. All warranty issues will be sent direct to the original manufacturer or factory, GoodFinds Gun Shop does not cover the warranty but will be glad to assist in facilitating your warranty claim.